We'll show you how to protect your online privacy as governments around the world, including the U.S., step up their online surveillance efforts. A VPN is like a secure tunnel for a web traffic. When you’re on public Wi-Fi at an airport or café, that means hackers will have a harder time stealing your login credentials or redirecting your PC to a phony banking site. Your Internet service provider (ISP), or anyone else trying to spy on you, will also have a near impossible time figuring out which websites you’re visiting. On top of all that, you get the benefits of spoofing your location. If you’re in Los Angeles, for example, and the VPN server is in the U.K., it will look to most websites that you’re browsing from there, not southern California. For the most part, however, if you’re visiting Belgium and connect to a U.S. VPN server, you should get access to most American sites and services just as if you were sitting at a Starbucks in Chicago. Anything more serious than that, such as mission-critical anonymity, is far more difficult to achieve—even with a VPN. Privacy against passive surveillance? No problem. Protection against an active and hostile government? Probably not. Beyond surveillance, a VPN also won’t do much to keep advertisers from tracking you online. Remember that the website you visit is aware of what you do on its site and that applies equally to advertisers serving ads on that site. To prevent online tracking by advertisers and websites you’ll still need browser add-ons like Ghostery, Privacy Badger, and HTTPS Everywhere. 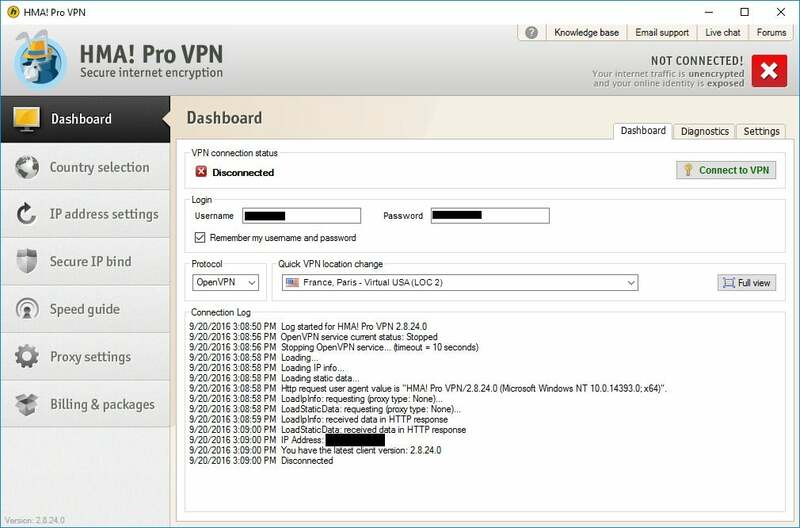 There was a time when using a VPN required users to know about the built-in VPN client for Windows or universal open-source solutions such as OpenVPN. Nowadays, however, nearly every VPN provider has their own one-click client that gets you up and running in seconds. There are usually mobile apps as well to keep your Android or iOS device secure over public Wi-Fi. Of course that brings up another problem. Since there are so many services to choose from, how can you tell which ones are worth using, and what are the criteria to judge them by? First, let’s get the big question out of the way. The bad news for anyone used to free services is that it pays to pay when it comes to a VPN. There are tons of free options from reputable companies, but these are usually a poor substitute for the paid options. 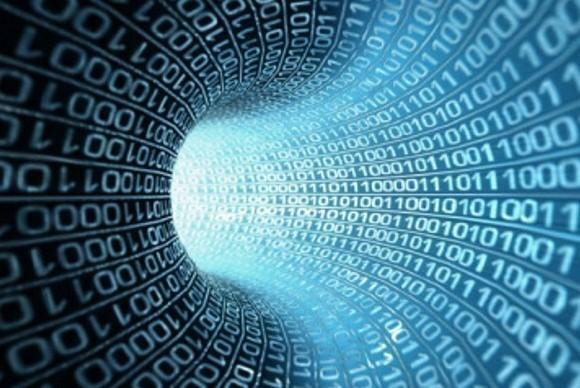 Free services usually allow a limited amount of bandwidth usage per month or offer a slower service. 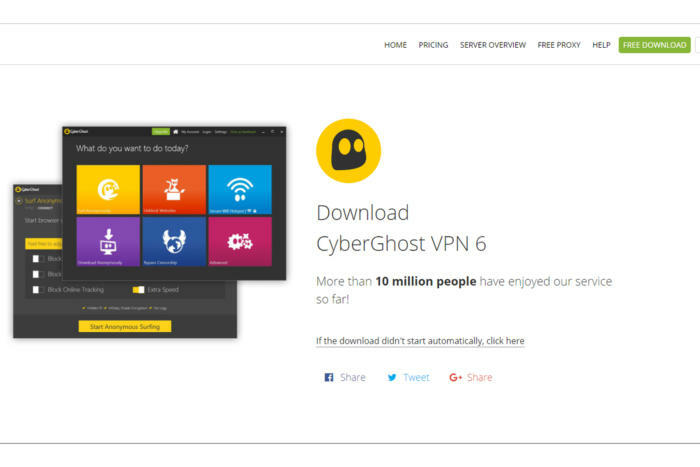 Tunnel Bear, for example, offers just 500MB of free bandwidth per month, while CyberGhost offers a free service that is significantly slower than its paid service. 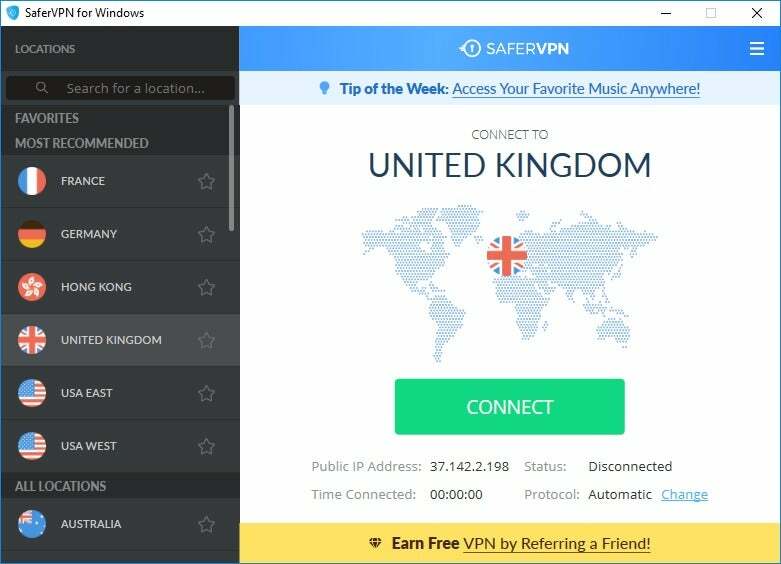 Everybody loves free services; but when you want to use a VPN, the free version usually isn't the best deal. The good news is VPNs aren’t expensive. You can usually pay as little as $5 a month (billed annually or in blocks of several months) for VPN coverage. We won’t get into specific VPN service recommendations in this article; instead, here are some issues to consider when shopping around for a VPN provider. TunnelBear is one of the author's favorite VPNs, but there are many good choices on the market. Finally, does the VPN provider offer their own application that you can download and install? Unless you’re a power user who wants to mess with OpenVPN, a customized VPN program is really the way to go. It’s simple to use and doesn’t require any great technical knowledge or the need to adjust any significant settings. 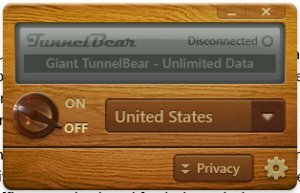 TunnelBear, which is currently my VPN of choice, has a very simple interface—if a little skeuomorphic. With Tunnel Bear, all you need to do is select the country you want to be virtually present in, click the dial to the “on” position, and wait for a connection-confirmation message. SaferVPN works similarly. From the left-hand side you select the country you’d like to use—the more common choices such as the U.S., Germany, and the U.K. are at the top. Once that’s done, hit the big Connect button and wait once again for the confirmation message. HMA Pro is a VPN I'll be reviewing in the next few days. This interface is slightly more complicated, but it’s far from difficult to understand. If you want to select your desired virtual location click the Location mode tab, click on the location name, and then choose your preferred location from the list. Once that’s done click the slider button that says Disconnected. Once it flips to Connected,you’re ready to roll. There are numerous VPN services out there, and they all have different interfaces; but they are all similar enough that if you can successfully use one, you’ll be able to use the others.